Classical Christian education is inherently transformational. By being immersed in the truths of the gospel and the great ideas of Western culture, students are changed. Teaching for wisdom and virtue, rather than mere vocation, alters the focus of education to who we become, not what we know. Few, if any, educational philosophies make such a claim. But, in classical Christian education, transformation is the noble aim of everything we do. We seek, with the Apostle Paul, to be “transformed by the renewal” of our minds (Rom. 12:1-2). Classical education teaches students how to learn so they are equipped to pursue whatever they want to learn for the rest of their lives. 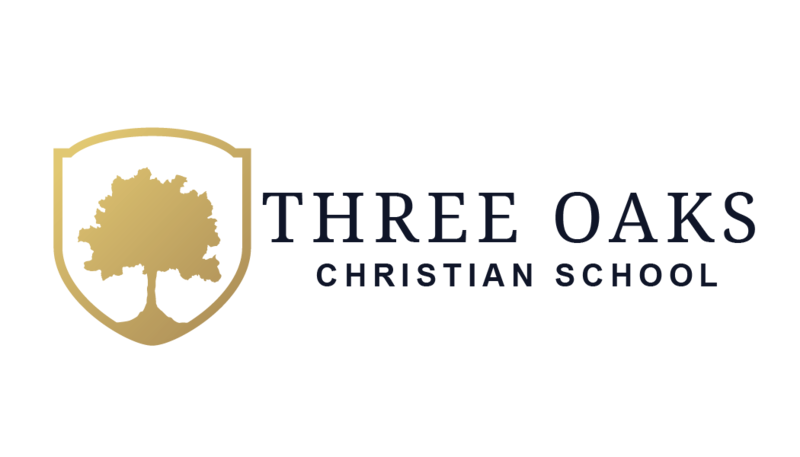 Using the Bible as our foundation and standard of Truth, Three Oaks weaves a Christian worldview into every subject in a student’s day. God is not confined to our daily chapel services and Bible classes. Classical education is like a very large museum with many beautiful, wonder-filled rooms that could be studied over a lifetime. It is a long tradition of education that has emphasized the seeking after of truth, goodness, and beauty and the study of the liberal arts and the great books. What are the liberal arts? They are grammar, logic, rhetoric (the verbal arts of the trivium), arithmetic, geometry, music, and astronomy (the mathematical arts of the quadrivium). This approach to education also includes the study of Latin. What makes classical education so effective? It is largely because of its approach to how and when students are taught. Regardless of their learning style, children learn in three phases or stages (grammar, logic or dialectic, and rhetoric), known as the trivium. In the grammar stage (K–6), students are naturally adept at memorizing through songs, chants, and rhymes. If you can get children in this stage to sing or chant something, they will remember it for a lifetime. In the dialectic or logic stage (grades 7–9), teenage students are naturally more argumentative and begin to question authority and facts. They want to know the “why” of something—the logic behind it. During this stage, students learn reasoning, informal and formal logic, and how to argue with wisdom and eloquence. The rhetoric stage (grades 10–12) is naturally when students become independent thinkers and communicators. They study and practice rhetoric, which is the art of persuasive speaking and effective writing that pleases and delights the listener. Again, it is this approach to teaching students based on their developmental stage that makes this approach so very effective. It is precisely this kind of education that has produced countless great leaders, inventors, scientists, writers, philosophers, theologians, physicians, lawyers, artists, and musicians over the centuries. Classical education never really disappeared, but it did diminish starting around 1900 with the advent of progressive education. In an effort to restore this most proven form of education, the K–12 liberal arts tradition has been being renewed and expanded again over the last thirty years. More than 500 classical schools (including private and charter schools) have started during that time, and tens of thousands of homeschooling families are educating with the classical approach. Latin is the next step after phonics. Half of our English vocabulary is made up of Latin words and roots. Latin is the language of law, government, logic, and theology. Latin is the most efficient way to learn English grammar. The study of Latin decreases the effort needed in other subjects by 50 percent. Three Oaks is not currently accredited as there is a two-year operating threshold to meet before accreditation can be applied for and achieved. We intend to seek accreditation after the required two years of operation. In regards to performance, Classical Christian schools develop skills to equip students to be lifetime learners and recent studies show that students who are classically trained enjoy higher standardized test scores. See this article revealing present results. Our uniform policy is driven by a desire to create and promote an environment where dress is not a distraction to the educational process. We believe our dress contributes to our culture and attitude. Our goal is to honor God in all we do, and a uniform helps to encourage modesty, promote a team spirit, and provide a simplicity for parents and students. Does your school take vouchers? Three Oaks will not be taking vouchers. Does Three Oaks offer an athletic program? While Three Oaks looks forward to having an athletic program, we don’t currently have one. We welcome volunteers to help organize and coach an up and coming team! No, parents are responsible for providing transportation to and from school; however, carpooling is always an option. Do you have a Special Education Program? Students applying for admission to Three Oaks will be screened for academic placement. We will not have a staff member hired for Special Education. If it is determined that the needs of the student exceed the professional resources of the school, then admission will not be granted. Are you affiliated with a local church? Three Oaks is not affiliated with any one Church or denomination. We are a non – denominational school whose ministry is it to integrate and weave the truth of God’s word into all aspects of learning. We invite pastors from local churches to participate in our weekly chapel services.